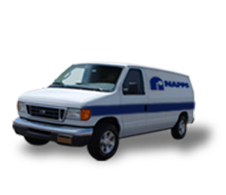 Aside from residential services, NAPPS is also a trusted source of HVAC/R services, repair, maintenance, and refrigeration equipment for commercial applications throughout East Texas and has been for more than 55 years. Our commercial contractors stay on the forefront of technology in the HVAC/R industry. Click on the Napps Mobile Express tab if you want to learn more about our Express Calling and Mobile Device Scheduling. Click on the Free 2ndOpinion tab if you want to request a Free 2nd Opinion on system performance, operational challenges, or major equipment replacement. Click on the Request a Quote tab to request a quotation for repair, system upgrade or replacement, professional design or construction packages or parts. Click on the Customer Feedback tab if you want to leave us feedback. Click the Contact Us tab for your questions or requests.